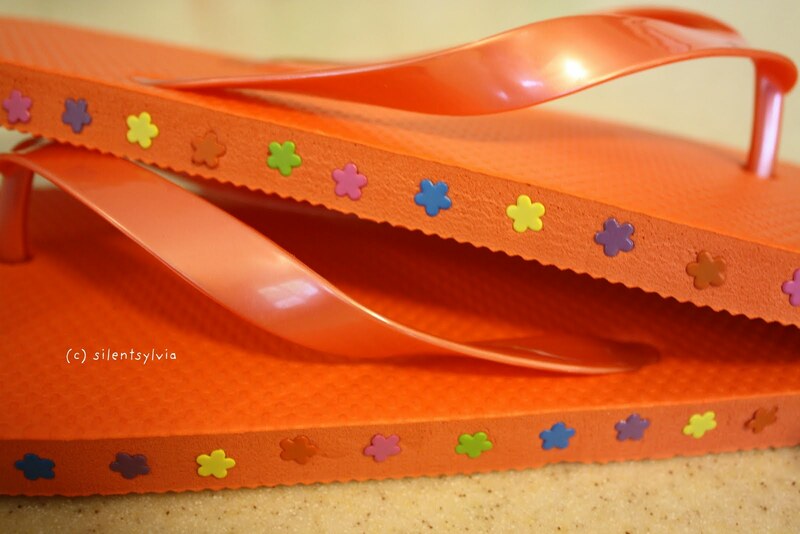 the second i saw this ribbon, i thought of pip. 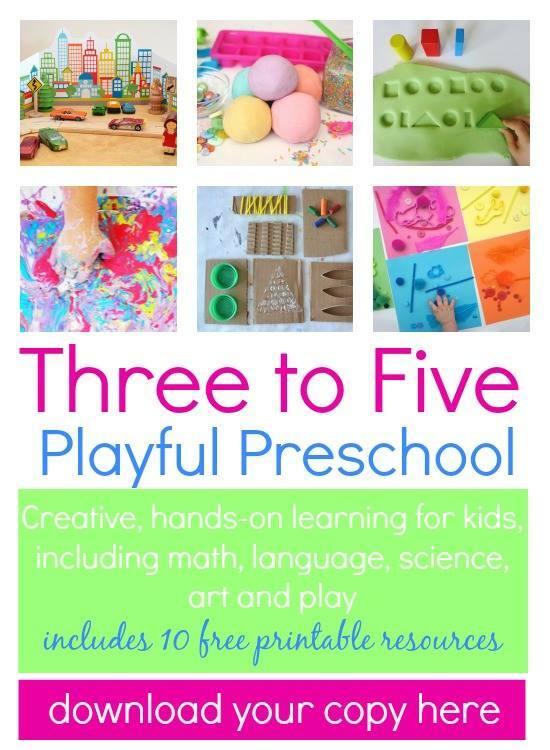 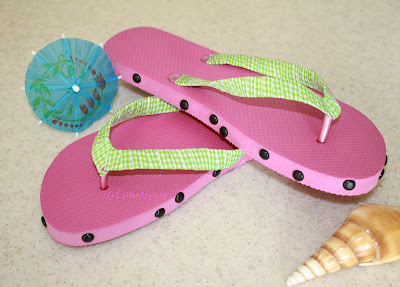 it's fun, fresh, and sooo summery! 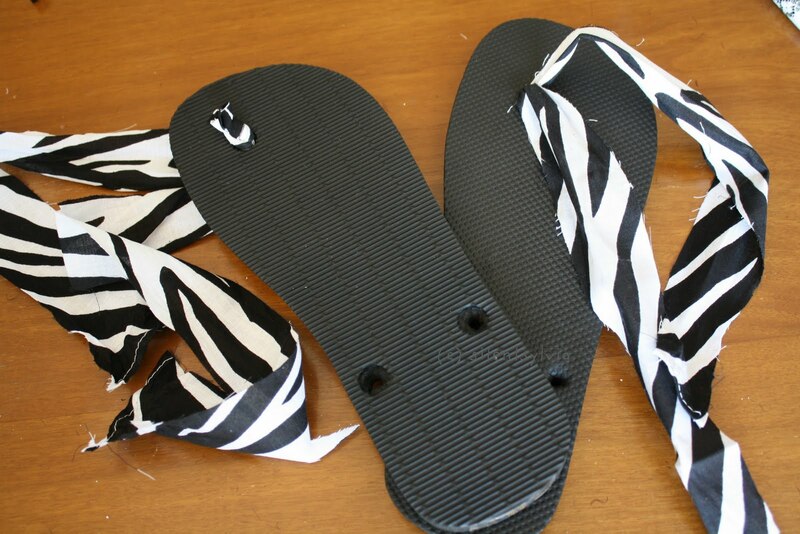 each shoe used a little under 6 feet of ribbon. 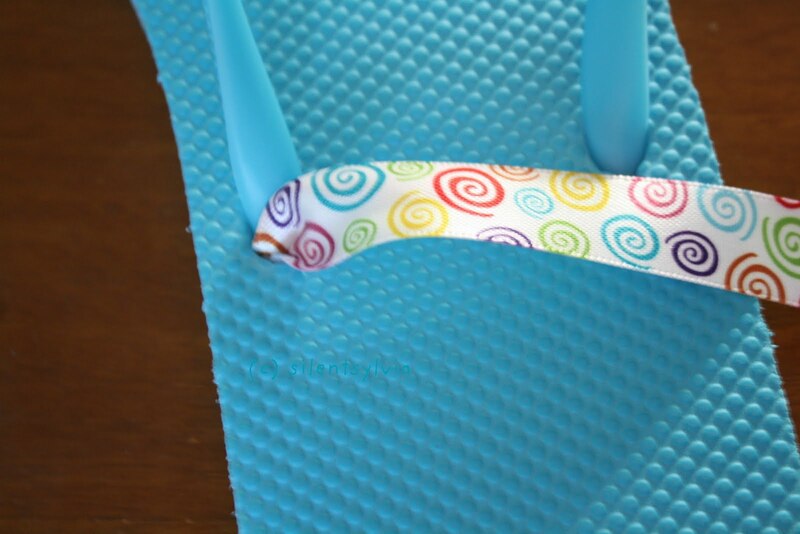 to get them started, i stuck the end of the ribbon in one of the holes for the side straps. ﻿﻿﻿this time, i used strips of handkerchiefs. i cut strips that were six inches in length. ((again, the next time i make these i'll use pinking sheers to cut with)). once the strips were all cut, a-tieing i went. 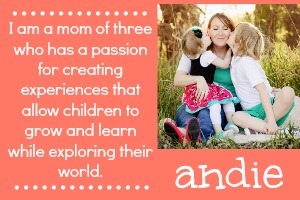 so there you have it doLLs! 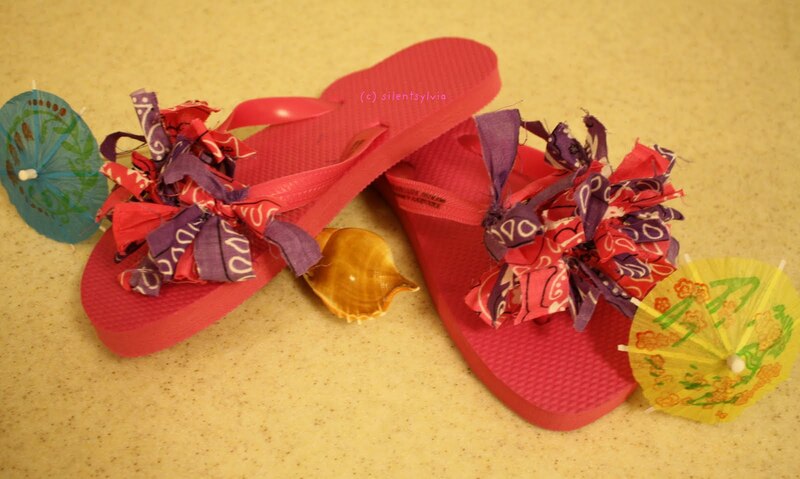 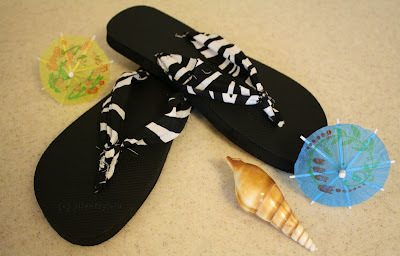 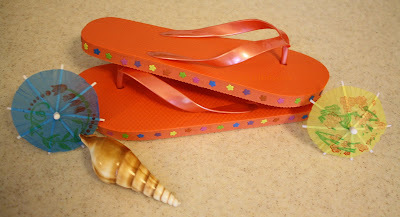 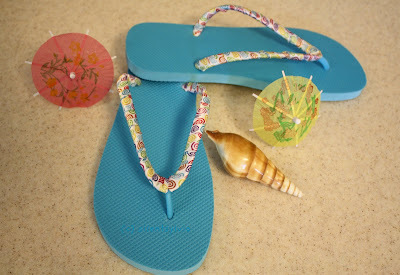 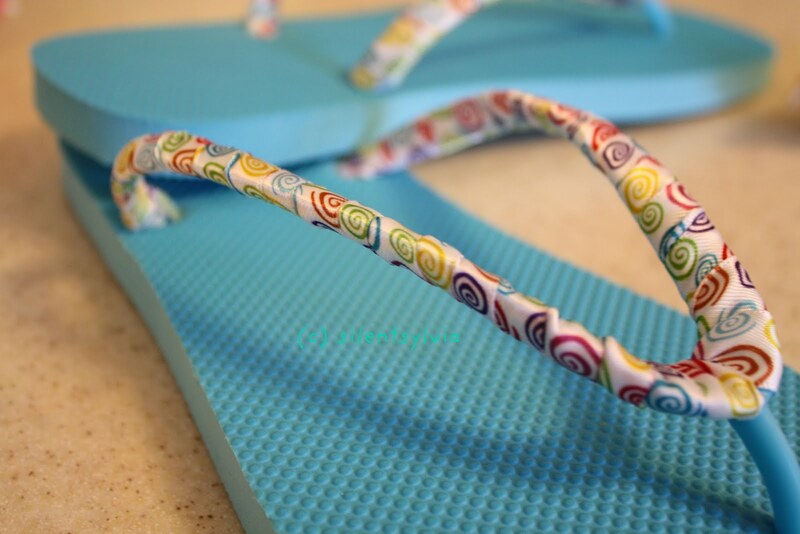 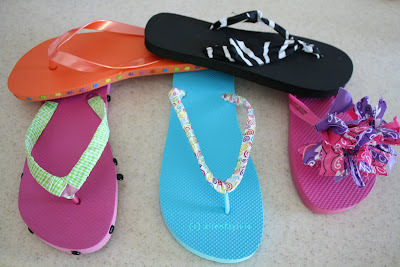 some fun ideas to make your fLiP-fLopS fabulous!